Deputy Chief Edward Jenkins was born and raised in the city of Gary Indiana. Deputy Chief Jenkins began his career with the Lake County Sheriff Dept in January of 1997 as a member of the Lake County Corrections Division. 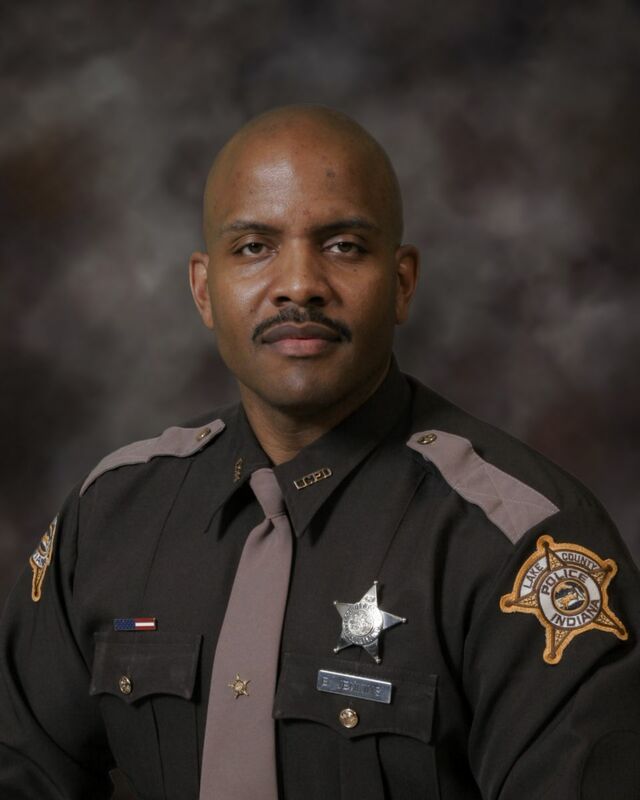 In January of 1999, Deputy Chief Jenkins was hired as a probationary patrol officer and attended the very first Northwest Indiana Law Enforcement Academy class at Valparaiso University. Since completing the academy, Deputy Chief Jenkins has been assigned to the following divisions within the Lake County Sheriff’s Dept. : Patrol Division, Criminal Investigations (General Assignment, Warrants, CSI) and the Civil Division. Deputy Chief Jenkins also was assigned to work with Gary Homicide as well as the recently formed Metro Homicide Unit. In September of 2017, Sgt. Jenkins was promoted to the rank of Deputy Chief under Sheriff Oscar Martinez and is currently performing those duties for the Lake County Sheriff’s Dept.